Property Description:“AFFORDABLE FAMILY LIVING” - comes with this 2-3 bedroom 1½ bath with original hardwood floors and trim on extra deep lot. Main level has living room, dining room, kitchen with back door to deck, ½ bath, 6’ x 13½’ foyer with open staircase & 7½’ x 21½’ enclosed front porch. 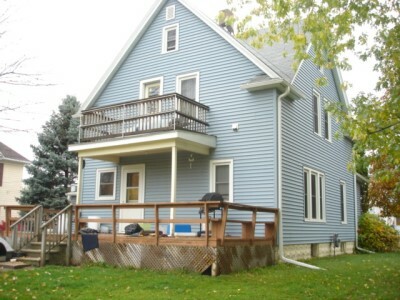 Upstairs has 2 bedrooms, full bath, laundry room, walk-in closet & porch off the back. Finished walk-up attic which could be used as a third bedroom or family area. 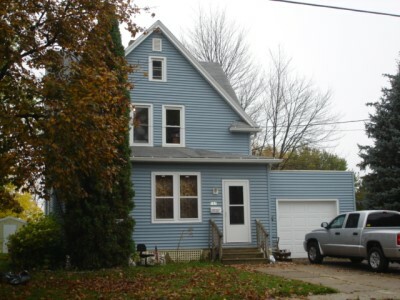 Newer updates include: all windows, exterior doors, roof, vinyl siding & gas furnace. Also included is 26’ x 42’ pole shed w/ alley access in rear.